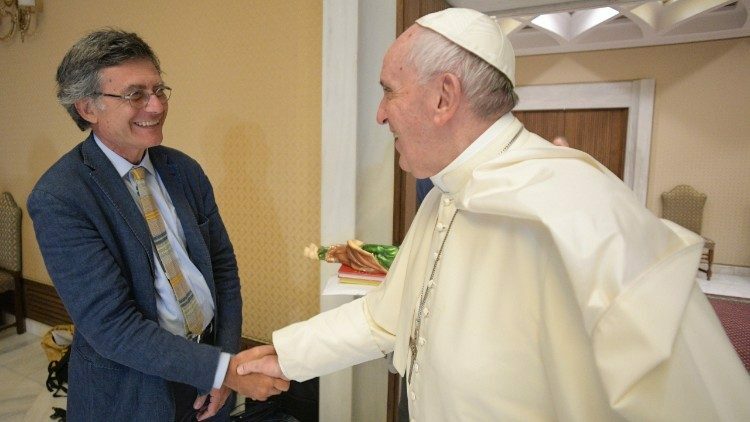 By Vatican News Pope Francis on Thursday named Doctor Paolo Ruffini as the new Prefect for the Dicastery for Communication. Dr Ruffini has been serving as Director of the television station of the Italian Bishops’ Conference, TV2000. Paolo Ruffini was born in Palermo, Sicily, on 4 October 1956. He attained his degree in Jurisprudence from La Sapienza University of Rome. Dr Ruffini has been a professional journalist since 1979. He has worked for the papers Il Mattinoof Naples (1979-1986); and Il Messaggero of Rome (1986-1996); in radio at Giornale Radio Rai(1996-2002), Canale Gr Parlamento (1998-2002), Radio 1 (1999-2002) and Inblu Radio (2014-2018); and on television at Rai3 (2002-2011), La 7 (2011-2014); and Tv2000 (2014-2018). He has received numerous awards for journalism, and taken part in numerous conferences on the role of communications ethics, the new media, and the role of Christians in media. Dr Ruffini is married to Maria Argenti.